Fulfilling work – Bringing consumer sentiment to life is a human endeavor and, as such, is extraordinarily fulfilling. The work we’ve done over the years has helped create and improve countless products and services that have a positive impact on peoples’ lives. Our work has guided the services offered to children with learning disabilities…has informed the creation of personal care products designed to bolster the self-confidence of those who use them…has led to a better quality of life for struggling patients…has led to the creation of healthier meals, snacks and beverages that still taste great…and has supported the design of financial and insurance products to help people reach their dreams and protect them. There is no better feeling than knowing that what we do matters. Outstanding industry – No person is an island, nor is any company. We’ve had the good fortune to work in a very tight-knit and collaborative industry. Our membership, and throughout the years leadership positions, in CASRO and MRA (which in 2017 joined to become the Insights Association) have allowed us to work closely with other research companies to ensure our collective clients continued access to high quality, valuable consumer insights. And we’ve made a lot of good friends along the way! In fact, there may not be another industry where so many competitors are so collegial and such good friends. Relationships – Speaking of friends, relationships are at the heart of everything we do. We have genuinely warm and collaborative relationships within our RTi family, with industry colleagues, with our clients and, importantly, with the consumers whose shared opinions form the basis for the work we do. We value and nurture these relationships because we know that, at the end of the day, trust and respect are the foundations of success – in business as in life. Team spirit – We literally could not do the work we do were it not for the spirit of camaraderie at RTi. Our teams depend upon and support one another. This has been true for our entire 40 years: the importance of team, co-dependence, and spirit has been the connective tissue year after year, decade and after decade. In fulfilling our mission of supporting our clients’ success, we all do (and have always done) whatever it takes – across departments and teams – to deliver. We are pretty sure that’s why we’re still around to write this post 40 years later! You – Every one of you reading this post. Thank you. For supporting us, challenging us, and trusting us. 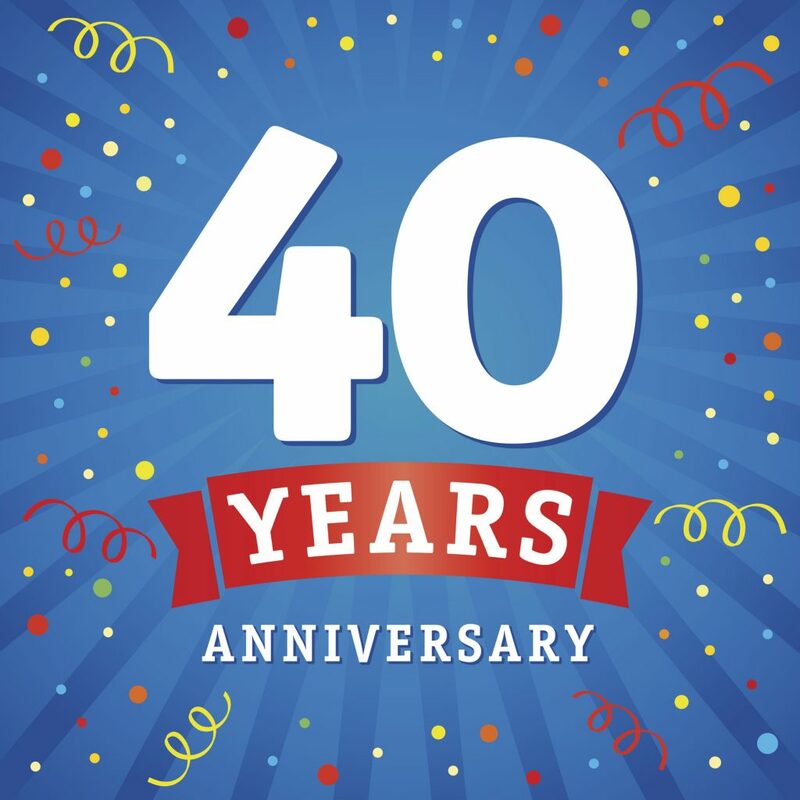 It’s been a great forty years at RTi and we look forward to the next forty – more fulfilling work, industry collaboration, relationship building, teamwork – and more opportunities to work with YOU.